One of the assassins looks a whole lot like Darth Maul, with the black robe, messed up face, discolored eyes, tracking abilities, and blade-wielding prowess. Persians have English accents, unless they’re dirty commoners. Then they have an indistinguishable but recognizable accent reserved for dirty commoners in all movies. If you must sneak into something as large as an entire kingdom or as small as a room containing a valuable item, you need only a hood and a face cloth. This works 100% of the time. Now, once guards find you inside the sanctum sanctorum, you’re on your own. You will also discover that the Tea Party existed in ancient Persia. Alfred Molina’s character, Sheik Amar, loudly refuses to pay taxes to the Persian kingdom for any reason, so he creates his own secret society. No one—especially Persian tax assessors—dares enter Amar’s kingdom, which is shrouded in brutal legend and has bleached skeletons hung at its entrance. There is no Social Security Administration. There is no public transportation. There is no universal health coverage, or it at least does not offer dental. The economy is entirely gold standard, and ostrich racing generates most of the GDP. This sounds ridiculous until you think about what derivatives and credit default swaps did for us thousands of years later. Apart from the history lessons, Lord of the Rings: The Fellowship of The Time-Stopping Thingumbob Prince of Persia showcases lots of pretty people with long hair (everyone except Sir Ben Kingsley) or no hair at all (Sir Ben Kingsley). It features the Nazgul Hassansin: ebony-robed, seemingly half-human killers skilled in the arts of war who ride Frazetta-outfitted battlesteeds to find and return to their master an artifact of unspeakable power. Their plans are foiled, of course, by those pure of heart overcoming obstacles varied and seemingly unovercomable. The magical relic is returned to its rightful place and nothing bad happens in Middle Earth the Middle East ever again. 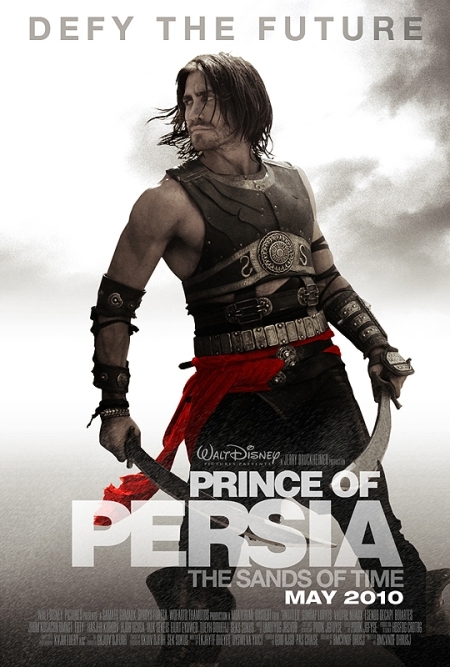 For realz, Indiana Jones and the Time-Stopping Thingumbob Prince of Persia functions as a perfectly serviceable summer blockbuster. Turn off your head and watch some long parkour and chase sequences, crumbling underground catacombs, and comical cultural misunderstandings. Like Lloyd said about Knight and Day, it’s totally worth a matinee viewing or a night viewing with a student discount.